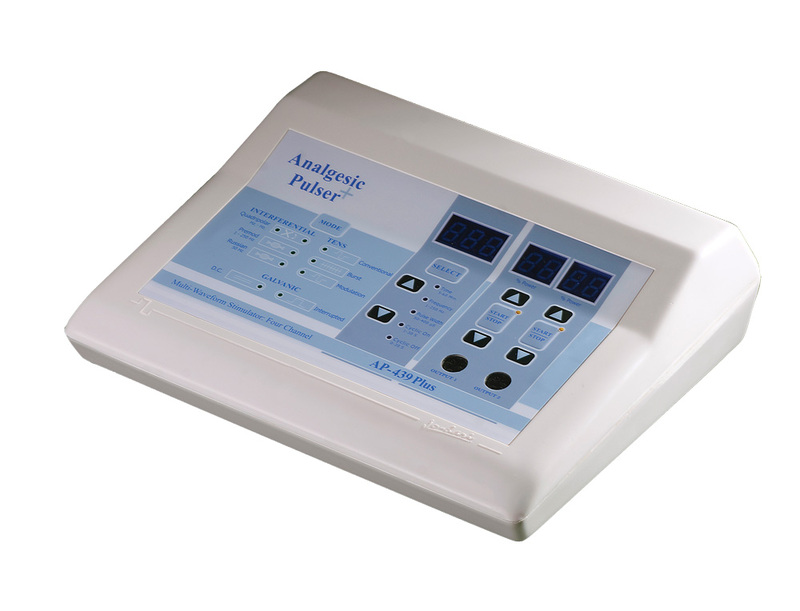 Analgesic Pulsar AP439, the cutting edge multi waveform, multiple channels device presents the maximum applications of pain relief (Interferential, TENS, Galvanic, Russian etc.) and physiotherapy in one compact device. With mutliple pulse rates, pulse width, frequency, and a 1-60 minute timer, this device is great for clincial applications.